WASHINGTON (AP) — Premiums for a popular type of “silver” health plan under the Affordable Care Act will edge downward next year in most states, the Trump administration’s health chief announced Thursday. “The president who was supposedly trying to sabotage the Affordable Care Act has proven better at managing it than the president who wrote the law,” Azar bragged in his speech to a health policy group in Nashville. 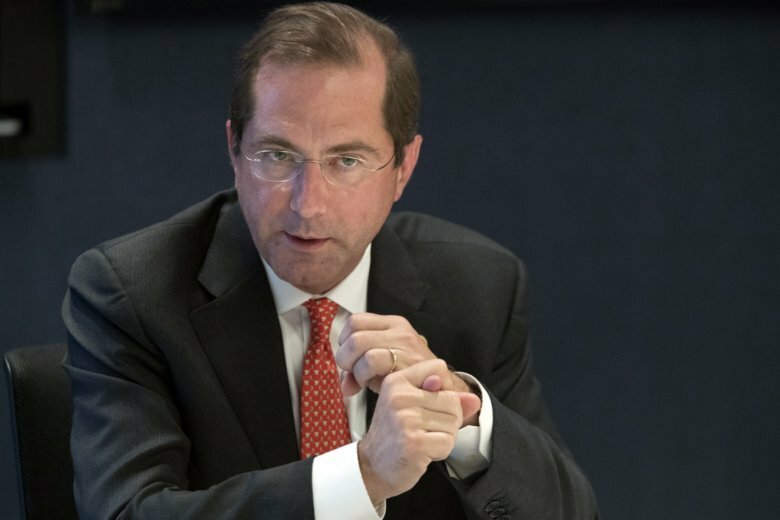 Azar cited regulatory actions to improve the inner workings of the ACA marketplaces and increase consumer choice among insurance plans that don’t comply with health law rules. Reacting to Azar’s claims, Larry Levitt of the nonpartisan Kaiser Family Foundation said it’s likely that premiums for 2019 would have gone down even more but for other administration actions last year that roiled the markets. In previous election years, health law premiums have provided plenty of material for Republican attack ads. That issue has been taken away this year by market stability. Instead the debate has shifted to Democratic charges that the Trump administration and Republicans want to undermine the ACA’s protections for people with pre-existing health conditions. Azar’s speech also took aim at the “Medicare for All” national health plan sought by Sen. Bernie Sanders, saying it would undermine access for seniors and pile huge costs on taxpayers. The Trump administration is stepping up its criticism of the Vermont senator’s plan as many Democratic candidates in the midterm elections voice support for his vision of a government-run health care system. “The main thrust of ‘Medicare for All’ is giving you a new government plan and taking away your other choices,” Azar said. Sanders says his approach would uphold quality and gradually bring costs under control, but studies show it would translate to a historic expansion of the federal government’s role in health care. Critics doubt promised savings could be delivered.